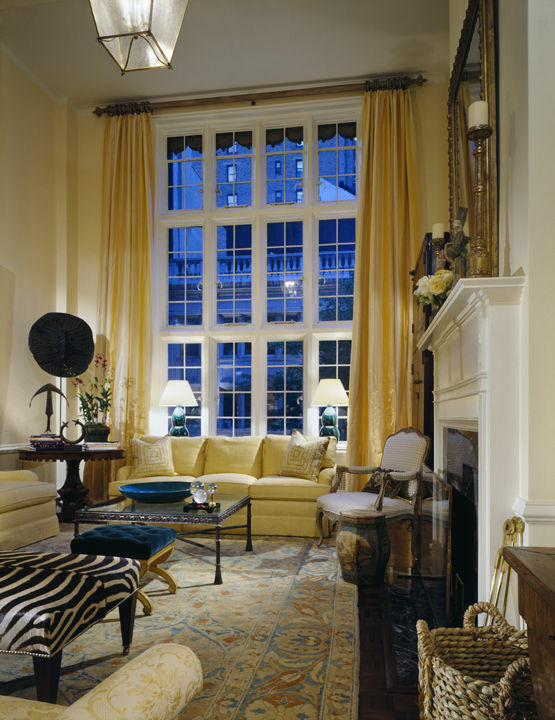 This lavish and traditionally designed private residence on the Upper East Side features a unique sunken Living Room and overlooks one of New York's most affluent neighborhoods. The area is a very popular setting for many films and television shows, and is now well-known for being home to some of the world's most influential actors, directors, designers and entertainers. All photographs by James R. Morse. All rights reserved.